The official theme for this year’s iteration of Dance/USA’s annual Dance Forum in advance of APAP was: “Exploring relevance, community, place-based work, and truth telling.” But the current political climate served as a constant undercurrent for the Jan. 12 New York event, imbuing each session with an even greater sense of import and intensity. In her opening remarks, Ramos noted the Dance/USA statement on sexual harassment created in collaboration with members of its Service Organization Council. The statement was released in response to issues raised in the dance community in the wake of the burgeoning #MeToo movement. Ramos said that in addition to Dance/USA’s public statement, it would also ramp up plans to educate the Dance/USA membership as well as its staff on the issue. She also encouraged members to contact Dance/USA for information about the recently passed tax reform legislation and its potential impact especially on charitable giving. 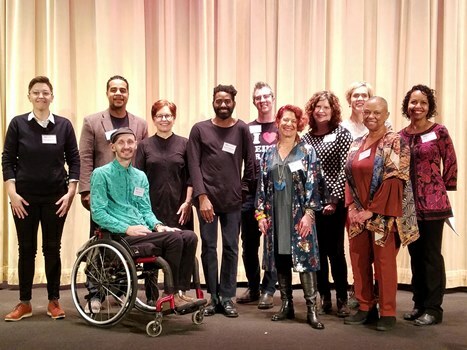 But most of last Friday’s Forum, which was dedicated to longtime Dance/USA board member Jane Efroymson who died late last year, focused on examples of work that represented the future of the dance field in different ways. The Forum was moderated by arts consultant Karina Mangu-Ward. Beyond the issue of labeling and the limited thinking the labels represent, panelists also said more thought needed to be given to also achieving true inclusivity behind the scenes in the dance field. For example, Gina Gibney, artistic director and CEO of Gibney Dance in New York pointed out that even though her building meets federal standards for accessibility, her organization is grappling with how to make all levels of her facility easily accessible backstage. “We can welcome dancers and dancers with disabilities into our space ... but there’s so much more that’s needed,” she said. In the second segment two groupings of artists and administrators discussed the impact of programs that are community-based. Panelists like Linda Yudin, artistic director of Viver Brasil of Los Angeles, and Birmingham, Ala.-based dance anthropologist and educator Joan Hamby Burroughs agreed that the true richness of their programs stemmed from the fact that they were fully embedded in the communities, not just temporary visitors. That long-term investment in the community also meant that the organization was constantly thinking of where barriers existed between the community and the dance organization and worked on ways to dissolve those barriers. The danger, panelists said, is to assume that a choreographer or company comes in with answers for what a particular community knows or needs to express. 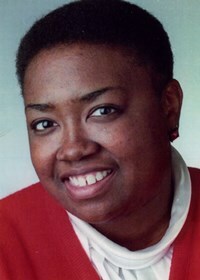 Karyn D. Collins has been a journalist for more than 30 years. A native of Chicago, Collins specializes in feature writing including dance, fashion, entertainment, and diversity. Her work has been published by the Associated Press, Jet Magazine, New Jersey Monthly, Dance Magazine, Inside Jersey Magazine, Nia Online, The Root, the Philadelphia Inquirer, the Newark Star-Ledger, Dance Teacher Magazine, InJerseyMagazine, the Camden Courier-Post, and the Asbury Park Press. She is an adjunct professor at Rutgers University, William Paterson University, Seton Hall University, and Bloomfield College in N.J. A faculty member at the King Centre for the Performing Arts in Wanaque and Mahwah, N.J., Collins is also a former chair of the Dance Critics Association and the founding chair of the National Association of Black Journalists’ Arts and Entertainment writer’s task force. Dance Forum speakers (left to right): Moderator Karina Mangu-Ward, Malik Robinson of Cleo Parker Robinson Dance, Marc Brew of AXIS Dance, Gina Gibney of Gibney Dance, Jerron Herman of Hedi Latsky Dance, Sean Dorsey of Sean Dorsey Dance, Linda Yudin of Viver Brasil, Krissey Marty of Forklist Danceworks, Allison Orr of Forklift Danceworks, Joan Hamby Burroughs, and Michelle Ramos, board chair of Dance/USA. Find bios of all Dance Forum speakers here.